The bio of Sir John Eliot | Launceston Then! John Eliot was born on April 20th, 1590 at Port Eliot, St. Germans. 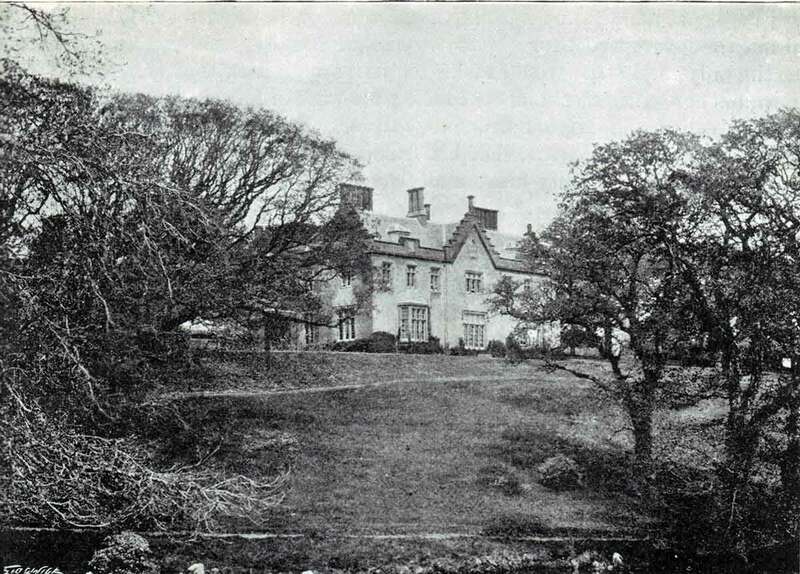 The son of Richard Eliot who had been conveyed the Priory estate, then called Porth Prior. John was educated at Oxford although he never a degree. From the university he went to the Inns of Court, and soon after travelled. 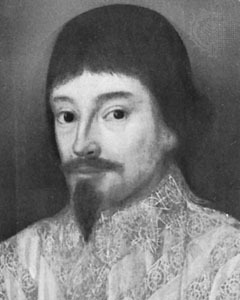 In his travels he met with a young George Villiers, later Duke of Buckingham, and a friendship sprung up between them, though their paths soon became divirgent. Through the influence of this friendship John was appointed Vice-Admiral of Devon and Knighted. At the age of 21 he married Rhadagund, only child of Richard Gedie, of Trebursye, in South Petherwin. He seems to have first entered Parliament in 1614. In 1624 he sat for Newport, by Launceston, and his first speech was in aid of those parliamentary immunities and rights, of which to the last, he was a resolute defender. A new Parliament was summoned in 1626, and Sir John was sent to represent his native county in it. In the struggle which ensued between Buckingham and the Commons, Sir John took the foremost part, attacking the King’s favourite with great boldness and resolution. With that speech especially, wherein he likened Buckingham to Sejanus, the king was very angry, exclaiming, “He must intend me for Tiberius.” Sir John and Sir Dudley Digges were committed to the Tower. Not many days, however, elapsed, before the Commons compelled Charles to release Sir John. The wrath of the Kings and minister sought by various charges to ruin the patriot in his office of Vice- Admiral. In the Parliament of 1629, Sir John went further by drawing up three resolutions that vigorously condemned Charles’s religious policy and his customs levies. Although Charles ordered Parliament to adjourn, Sir John had the speaker of the House of Commons held down in his chair until the resolutions were passed. The king had Sir John and eight others arrested. Imprisoned in the Tower of London, Sir John wrote several books on politics and ethics, including An Apology for Socrates and The Monarchie of Man. On his confinement he wrote “My lodgings are removed, and I am now where candle-light may be suffered but scarce fire; I hope you will think this exchange of places makes not a change of mind.” This close confinement undermined his health; contracting tuberculosis, he died in the Tower in the November of 1632. The request by his son to have the body for internment at St. Germans was refused, and so Sir John was buried in the Tower. In 1646 Sir John’s family received a compensation of £5,000 for his sufferings and noble conduct in opposing the illegality of the times.